► The herbicide Zidua can be an effective tool in helping control weeds in peanut fields. Learn how and when to use Zidua in the following frequently asked questions. Question 1: What is Zidua? How does it kill weeds? Zidua (pyrosasulfone) is a WSSA group 15 herbicide, which has similar mode of action to Dual Magnum (S-metolachlor), Warrant (acetochlor), and Outlook (S-dimethenamid). It controls weeds by inhibiting production of very long chain fatty acids in cells. Zidua and other group 15 herbicides target susceptible weeds during emergence; therefore, proper incorporation by irrigation or rainfall after application but before weed germination is required. Similar to Dual Magnum, Outlook, and Warrant, Zidua will not control large and established weeds because this group of herbicides are absorbed by cotyledon and hypocotyl of susceptible weeds during seedling emergence through treated soil layers. Question 2: What weeds does Zidua control in peanut? What are the benefits of using Zidua? Zidua provides control of many problematic weeds such as pigweed, nightshade, Florida pusley, carpetweed, prickly sida, common purslane, crabgrass, crowfootgrass, goosegrass, and barnyardgrass. It can also suppress horseweed (marestail), morningglory, common ragweed, Texas millet, and yellow nutsedge, but tank-mix or sequential applications are usually required to provide additional control on these species. The greatest benefit Zidua can bring to peanut is to provide residual weed control and delay the occurrence of new weed resistance, considering that the infestation of glyphosate and ALS-inhibitor resistant pigweed in Alabama peanut growing areas is very high. Question 3: When and how to use Zidua in peanut? According to the Zidua peanut label, only early postemergence application at 1.5–2.1 oz./A is allowed. The application window is from first true leaf stage through beginning of the pod development stage. Zidua up to 3 oz./A preemergence has been tested in research trials without unacceptable peanut injury. However, due to low soil adsorption, peanut injury can happen if excessive rainfall occurs during seedling emergence or if seed vigor is low. Therefore, preemergence application of Zidua is not recommended. Sequential applications can be made with a 14-day interval and a maximum combined rate for a year of 5 oz./A. 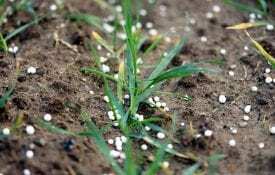 Question 4: Can I tank-mix Zidua with other herbicides? Absolutely. Zidua can be tank-mixed with other herbicides such as Basagran; Gramoxone; Storm; Cadre; Outlook; Poast; Select; Pursuit; Ultra Blazer; Aim; 2,4-DB; and Cobra. In 2016 and 2017, tests have been done with good results on the following tank mixes in dryland and irrigated peanut in Alabama: Gramoxone + Storm/Basagran + Zidua; Gramoxone + 2,4-DB + Zidua; Cadre + 2,4-DB + Zidua; Ultra Blazer + 2,4-DB + Zidua; Cobra + 2,4-DB + Zidua; Storm + 2,4-DB + Zidua. Timely application of these treatments will be key to controlling weeds. Nothing can completely control pigweed, sicklepod, and coffeeweed when they reach more than 6 inches tall. 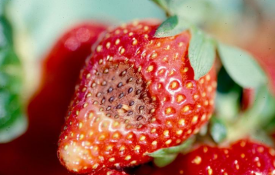 Question 5: What about potential peanut injury caused by Zidua? No significant peanut injury (> 20%) in Zidua treatments (as described in question 4) have been observed in Alabama Extension trials. 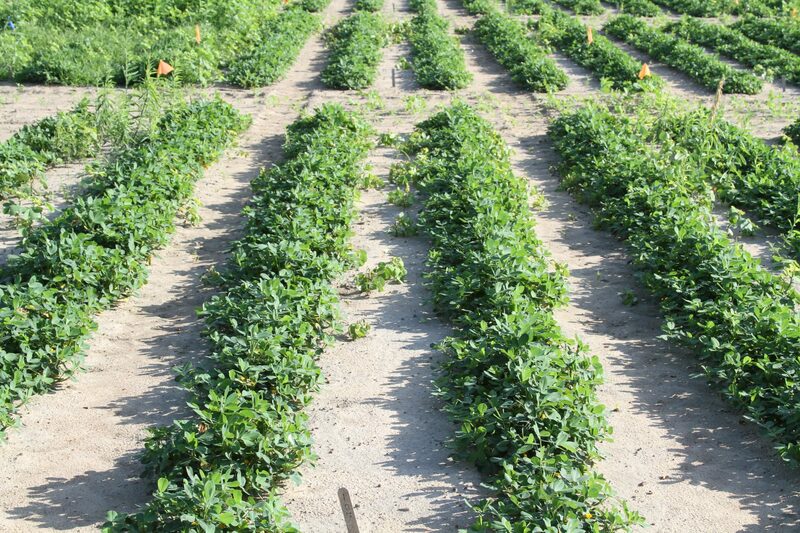 Avoid spraying Gramoxone + Zidua on thrips-damaged peanut, weak stand, or peanut under intensive stress, such as times of drought or disease. Question 6: Is carryover a problem with Zidua? Follow label restrictions about rotational crops. Pyroxasulfone does not persist in soil for a long time (reported soil half-life of 16 to 34 days, as compared to S-metolachlor half-life of 11 to 30 days). At 2 oz./A rate, corn can be planted after 2 months, grain sorghum after 6 months, wheat after 1 month, cotton after 2 months, and soybean after 0 month (it is tolerant to Zidua preemergence). Zidua is not expected to cause a similar level of carryover problems as Cadre on cotton and Strongarm on corn. However, planting canola, carinata, grass cover crops, and winter vegetables into Zidua-treated peanut fields may cause a negative impact on crop growth; therefore, caution is needed. Question 7: How does Zidua work in dryland peanut? Its soil persistence is not expected to be substantially different as compared to Dual Magnum, Warrant, and Outlook. 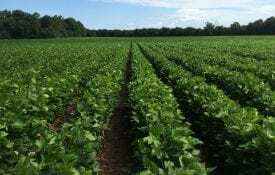 Field experiments are being conducted to evaluate the lowest amount of rainfall needed to activate this herbicide and its persistence in dryland as compared to other residual herbicides in peanut. Download a printable PDF of Zidua Label and Usage in Peanut, ANR-2414.